Please pray for me as I prepare our next Bible study. Pray especially for focus. The weather has finally turned from absolutely freezing to warm outside, which is only one distraction–and a beautiful one at that. Balance. Balance. Balance… and devotion. 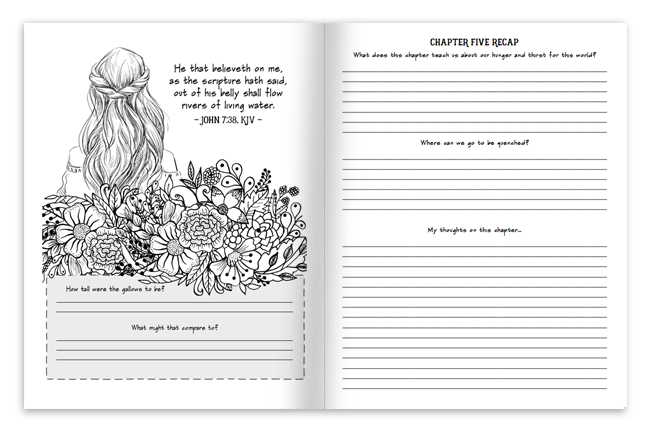 For the past several weeks I was working on one Bible study but I kept feeling the nudge to study something different. A friend confirmed it in me a couple of weeks ago when she emailed about it and sent me her notes. Since I was working on one study already, I wanted to wait, but finally I prayed about it, made the jump, and started from scratch. It’s going to be GREAT, but it’s going to take time and effort and devotion. All this to say that there will be a break between Esther and the next study. I won’t announce it yet, but can tell you that I have Jesus bumps about this one. It’s going to be great!! As soon as I have some headway on it, I’ll announce details. Thanks! If you are looking for any posts you have missed, or a FREE copy of the study guide, you can find the table of contents by clicking here. As I’m reading this chapter and I get to the part where the king offers Esther up to half of his kingdom, and I’m reminded of the temptation of our Lord, Jesus Christ in Matthew 4. His mission was to seek and to save those who were lost, but Satan came to Jesus while He was fasting in the wilderness to offer Him the world. It’s when we’re hungry and thirsty and weak that we’re most prone to temptation, and if we look back to Esther chapter 5:3, we see that the King made this offer to Esther after she had been fasting for three days and three nights. I’m not saying that the King typified Satan here–that title would definitely go to Haman. But God does allow us to be tempted, and we never know where the temptation may lie, which is why we need to pray and fast and stand strong in our faith. 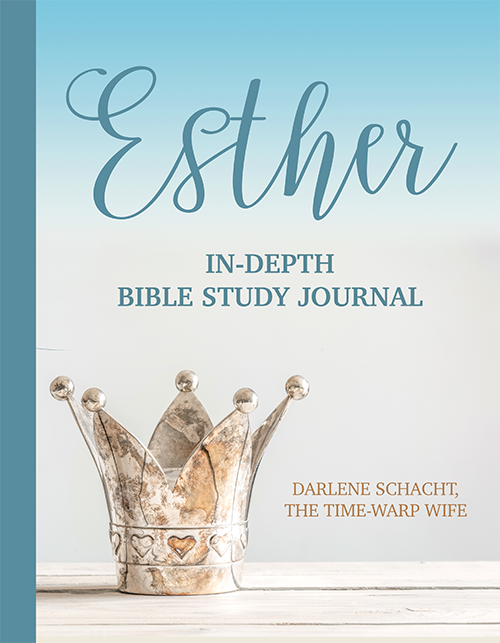 In the same way that Jesus stayed true to His mission, Esther stayed true to hers. Pushing aside any desire for position and power, she valued the lives of both herself and of her people. How many banquets are recorded in the book of Esther? Can you list them? What did the king offer her? How might this be a temptation? The King offered Esther up to half of his kingdom. Esther’s mission was to redeem her people from their death sentence. Any one of us could have easily been distracted by this elaborate offer from the King. The lust of this world has a strong pull on many people, which is why it’s important to pray, and fast, and stand strong in our faith. 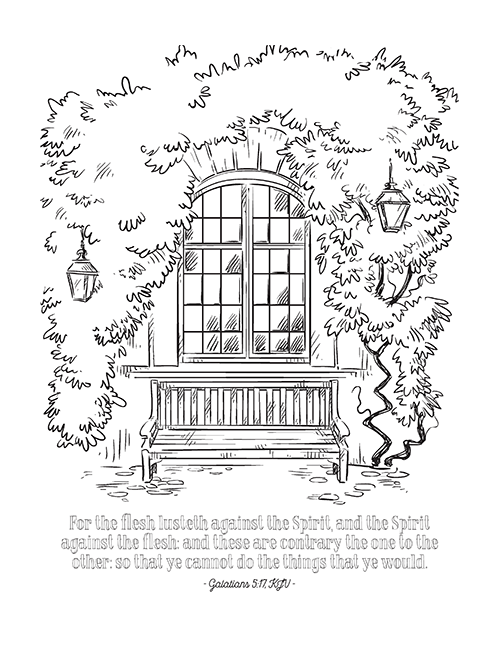 What was Esther’s petition in this chapter? She made a plea for her life and the lives of her people. 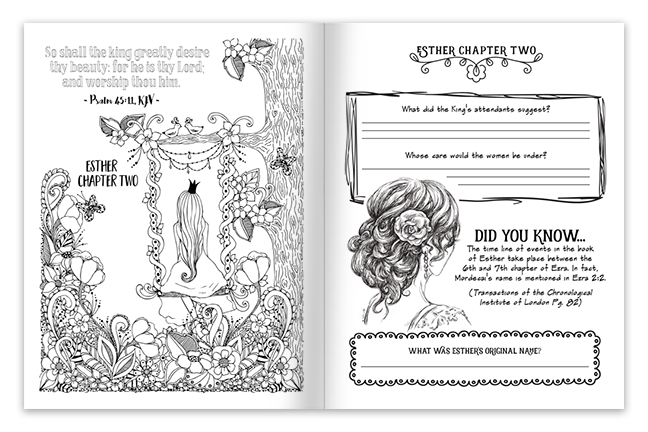 Under what circumstance would Esther have held her tongue? If they had merely been sold into slavery, she wouldn’t have petitioned the king. What was the king’s reply? He asked who it was, that executed this plan. Who did she accuse? And how did she refer to him? What was the king’s reaction and where did he go? The King was furious. He rose from his seat and went out into the palace garden. Haman was terrified. He fell on Esther as he was begging for his life. What did the king see when he returned to the banquet? The king saw Haman on top of Esther on the couch. This again is another example of the providence of God. Not only did Haman fall on Esther as he was begging for his life—he fell on her just as the king walked back into the banquet. This didn’t look good for Haman who the king was already furious with. This only served to further fuel the king’s anger. What irony do you find in this chapter? The very same gallows that Haman prepared for Mordecai were used to execute him. The symbolism between this chapter and salvation through Jesus is rich in these verses. Some of the other symbolism that I find interesting in the book of Esther is the comparison between the two queens and both the physical and spiritual Israel. One could say that the king symbolized God the Father in some ways, but I would stop short of drawing a close comparison between the two as the king was self-centered, short-tempered, and human. And so to say that this King was too sinful to symbolize God we must understand that the foreshadowing of Christ we find in the Old Testament was not perfect by any means. Mordecai wasn’t perfect, nor was Esther, but they were used by God to point us to Christ. What gifts did the king give to Esther and Mordecai? He gave the house of Haman to Esther, and set Mordecai in charge of Haman’s estate. The king also gave his ring to Mordecai, which was more than simply a ring. A signet ring contained the seal of the king, which gave him the authority to sign off on many agreements. What final request did Esther make of the king? To reverse the letters written by Haman when he sought to destroy the Jews. What did the king tell Mordecai to do with his signet ring? To write a letter, reversing the death sentence in the King’s name and seal it with the ring. On what day did the scribes come in to write the letters? On the 23rd day of the third month, the month of Sivan. How many provinces were the letters addressed to? How were the letters delivered? By horseback, mules, camels, and young dromedaries (one humped camels trained for riding or racing). What were the Jews instructed to do on the 13th day of the twelfth month? To arm themselves and to kill anyone who has threatened them or their family. What was Mordecai wearing when he left the king’s presence? He wore royal apparel of blue and white and a crown of gold. His garment was made of fine purple linen. How did the Jews celebrate? With joy and gladness and feasting. What really stood out to me in this chapter is how the Jews were empowered by Mordecai’s advancement in the kingdom, and his triumph over Haman. In fact, the rulers in the provinces helped them because they were afraid of Mordecai’s position and power. The Bible tells us that we are more than conquerors in this world, and I say Amen! As we witnessed through this study of Esther, when God is for us nothing can stand against us. This portion of scripture from Romans sums it all up so perfectly well, and leaves us with much to rejoice in! “What shall we then say to these things? If God be for us, who can be against us? He that spared not his own Son, but delivered him up for us all, how shall he not with him also freely give us all things? Who shall lay any thing to the charge of God’s elect? It is God that justifieth. Who is he that condemneth? It is Christ that died, yea rather, that is risen again, who is even at the right hand of God, who also maketh intercession for us. What took place on the 13th day of the twelfth month? With the help of the nobles, the Jews attacked those who were determined to destroy them. Why did the rulers of the provinces and the officers of the king help the Jews? Because they were afraid of Mordecai because he was given power in the palace. How many men did the Jews kill in the palace of Shushan? 500 hundred men and the 10 sons of Haman on the 13th day. Another 300 on the 14th. How were Haman’s ten sons killed? They were hanged on the gallows along with Haman. What was Esther’s request regarding their bodies? They were on the gallows for public display. Read 1 Samuel 15:1-11. 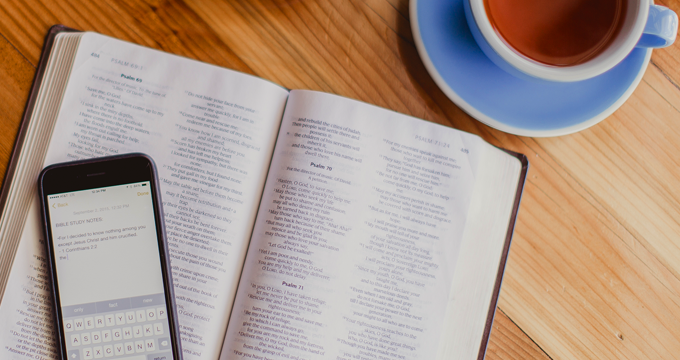 How were Esther’s actions different from Saul’s? When Saul attacked the Amalekites (of which Haman was a descendant) he was instructed to destroy everything–man, women, children, and their animals. In Esther, chapter 8:11, the King granted the Jews permission to not only destroy their enemies, but to take their plunder as well. Unlike Saul, the Jews destroyed their enemies, but as we see in Esther 9:10, 15 & 16, they left the spoil behind. We see here that they were more focused on conquering the enemy, than they were in getting rich. This is a lesson every Christian can learn from as we take our eyes off of the world and keep them on Christ. How many were killed on the 14th day of the month? How many were killed on the thirteenth? 13th : 75,000 in the provinces, plus the 510 in the palace of Shushan. 75,810 in total, plus Haman. When is the feast of Purim? According to Wikipedia, “Purim is celebrated annually according to the Hebrew calendar on the 14th day of the Hebrew month of Adar… In cities that were protected by a surrounding wall at the time of the Biblical Joshua, Purim is instead celebrated on the 15th of the month of Adar on what is known as Shushan Purim, since fighting in the walled city of Shushan continued through the 14th day of Adar. Today, only Jerusalem and a few other cities celebrate Purim on the 15th of Adar. How were they instructed to celebrate? What was in the final letter that Esther and Mordecai sent out? They sent out a final letter to confirm the days of Purim. What do we learn about Mordecai’s fate in the final chapter? He was advanced by the King to rule as second in command throughout the kingdom. The feast of Purim celebrates the salvation of the Jews from the wicked hands of Haman who sought to destroy them. Their deliverance from impending death is symbolic of our salvation through Jesus Christ. In what ways can we keep the feast of Purim alive within our hearts? The book of Esther is one of my favorite books in the Bible. I’m so glad that the Lord has guided me to your blog a couple of weeks ago just in time to experience the wonderful journey that this bible study has given me. I not only got to read this book again but also got to take it deeper to heart. Thank you and I can’t wait for your next bible study. 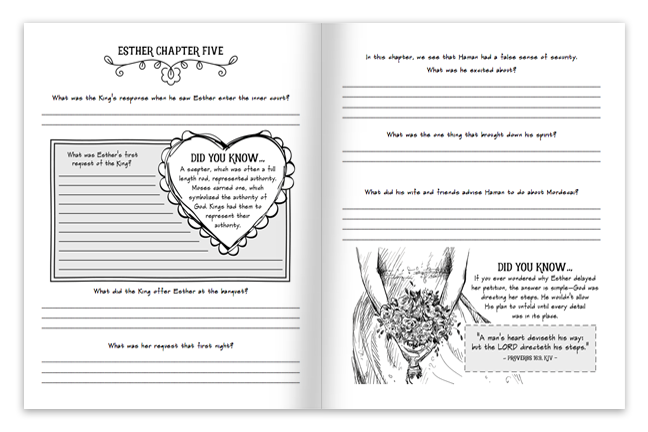 I am a pastor’s wife serving in a small, rural church in central Wisconsin, and we just completed studying the book of Esther using your study guide. We have enjoyed the guide very much, but with much trepidation, I am coming to you with a couple of facts that I saw differently than your guide. Starting with the list of feasts in Chapter 7, the last 2 on the list had no scripture references so on occasion of the victory in the provinces, the reference is 9:16 and the day is actually the 14th. For victory in Shushan, the verse is 9:18 and the correct day is the 15th. Then moving to other questions for chapters 9 & 10, 9:6 & 10 says the sons of Haman were killed presumably like all the others killed that day and not by hanging. But in 9:13, Esther asks that their bodies be put on display on the gallows. And finally, in regard to the question about Esther & Mordecai’s second & final letter that was sent out, the main thing was the addition of times of fasting and lamentations to the celebration of Purim. Thank you your consideration of these matters. God bless you in your future endeavors.